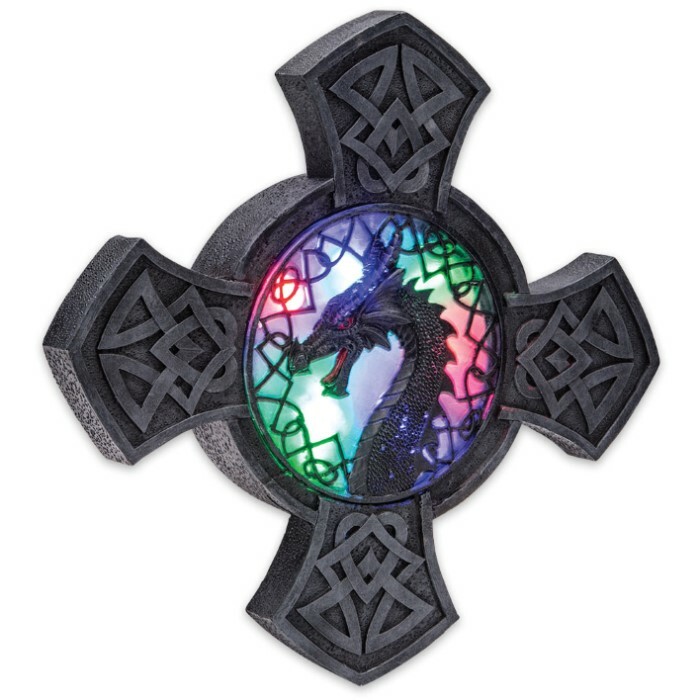 Dragon Wall Hanging With LED Lights | BUDK.com - Knives & Swords At The Lowest Prices! 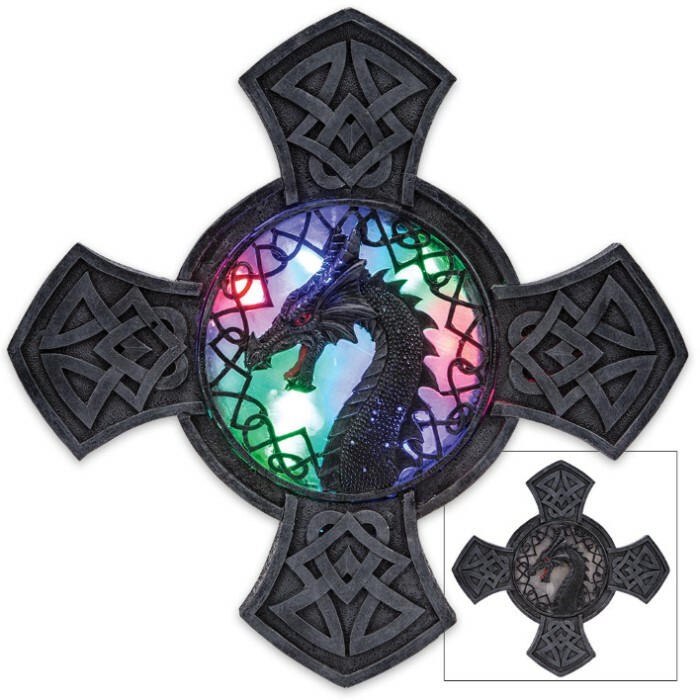 A modified Celtic cross with its intricate knot work is the background for the fierce dragon, which is the centerpiece of the Dragon Wall Hanging. Red painted eyes and tongue give the dragon portrayal life. Colorful LED lights shine out from the middle of the wall hanging to highlight the dragon artwork. 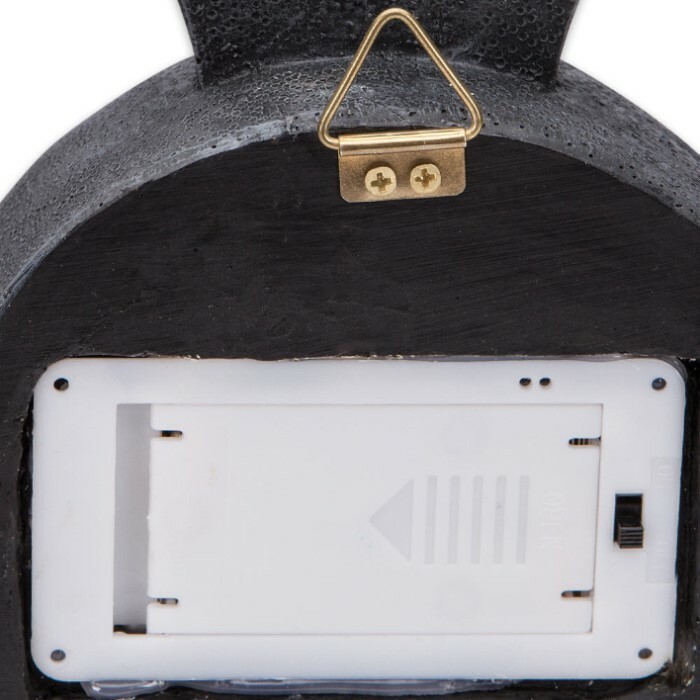 Expertly sculpted in high-quality black resin, this light fixture looks like a fine piece of ironwork. Fine quality and original design make our home decor collection stand above all others! Uses two AA batteries (not included).